(L to R): British cellist Zoë Martlew, Vietnamese pianist Nguyen Bich Tra, and Norwegian violinist Atle Sponberg will perform at the Saigon Chamber Music 2014 festival which is scheduled to take place from August 2 to 8, 2014 at the Ho Chi Minh City Conservatory of Music at 112 Nguyen Du Street, District 1. A seven-day classical music festival particularly intended for young Vietnamese musicians and students who love the music genre began in Ho Chi Minh City on Saturday. The Saigon Chamber Music 2014, to take place from August 2 to 8 at the HCMC Conservatory of Music at 112 Nguyen Du Street, District 1, is expected to be a wonderful playground for young, talented musicians as well as audiences who are infatuated with classical music. Tran Thi Nguyet Sa, who is in charge of the organization of the festival, said that the fest is the latest cooperation between the HCMC Conservatory of Music, the British Council, and Transposition Program, a collaborative organization of Norway and Vietnam aiming to promote the Southeast Asian country’s musical development. “The festival, modeled after the summer music festivals which are popular in the U.S. and UK, will provide training and an in-depth understanding of music for young musicians. It will bring them new, interesting experiences and improve their knowledge,” Sa said. The event kicked off with the “Mosaic of A Century” concert at 8:00 pm on Saturday, introducing several masterpieces by Maurice Ravel, Zoltán Kodály and Dmitri Shostakovich that reflect the 20th century classical music trend. 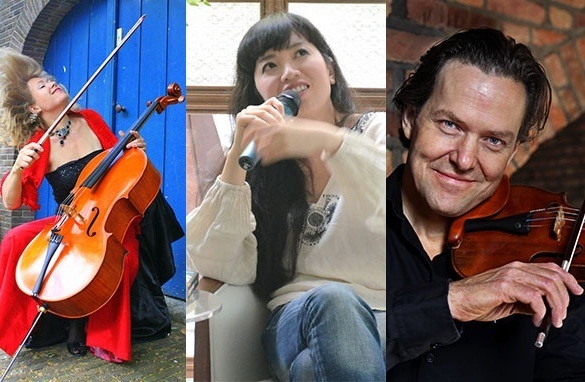 Audiences will see the performances of three world-renowned artists including Vietnamese pianist Nguyen Bich Tra, British cellist Zoë Martlew, and Norwegian violinist Atle Sponberg during the festival. There will also be intensive training sessions in which 19 talented young musicians selected from Vietnam’s three biggest conservatories including the HCMC Conservatory of Music, Hue Academy of Music, and Vietnam National Academy of Music will practice and exchange experience in playing classical music with three famed artists from 8.30 am to 6:00 pm every day. Two workshops entitled “Listening beyond the Dots” and “Tango and Improvisation,” open to all music lovers, will also be held on August 3 and 7 at 4:30 pm, respectively. The closing concert, "Young Virtuosos Concert Series" which will be organized at 8:00 pm on August 8 at the HCMC Conservatory of Music, will feature the performances of 19 young musicians. This is the first time the Saigon Chamber Music festival has been hosted in Vietnam. The event is expected to be held annually starting from this year, according to the organizers.